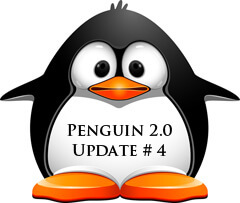 Penguin 2.0 is going to be released in the Next Couple of weeks. Are you prepared to weather the storm that is about to come? Are you 100% confident that your SEO Company knows how to react to the changes that Google is going to make? At Noxster we understand you are busy running a business, which is why we want to ensure you’re not caught off guard by Google’s latest major update. Here is a quick summary of what is going to happen in the next couple of weeks. Google’s new update is coming out in 2 weeks. Over-optimize link anchor text. Keep it natural. Who is linking to you? When you are attempting to generate backlinks to your website are you just utilizing one method? Do you have relevant websites talking about you? Are you making the appropriate changes to those landing pages to warrant the popularity? Those are all ways you can identify if you have a quality linking strategy. Chances are you have no socially integrated links. They are hard to create. They happen by blogging offsite and people sharing your information. This is the same thing as a backlink. Try and get your information shared as much as possible. Social platforms are the highest quality backlink that you can get. If you do have low-quality links pointing to your site (from a spam site, for example), make sure you leverage Google Webmaster Tools’ “Disavow links” functionality and continue to make efforts to clean up unnatural links. The best SEO value on the web is the relationship you have with your partners. In the end that was the reason why the concept of backlinks exist. It is the same as the “I like” button, but 20 years ago. The best way to move forward with quality SEO work is by building relationships with high quality, relevant partners. Have a strategic partnership review 2 or 3 times a year to identify high quality website that are willing to give you credit for your services. They are tough to come by but they are worth it. Know that despite the fact that it may seem like a single backlink from a quality source it is 10 times harder to get, you will realize the benefit in that single link providing 20 times more valuable. That is why page rank hasn’t been terminated from Google’s algorithm. Linking with quality relationships will keep you safe from future Google algorithm changes, as well as make it easier to keep and build relevant content moving forward. Make sure that you maintain those relationships so you don’t jeopardize that link. Building relationships isn’t exchanging links. If a website has 100’s of outbound links the link juice associated with that relationship is pointless. Make sure you work smart. Unique content will be read and then shared. If you write for the “DNA” aka the people your blogs and information will be shared. You will naturally generate high quality backlinks that are relevant, not to mention people will share the content on social platforms. The quality of your website matters. If your website hasn’t been attended to you are probably outdated, which means that other people are going to a better website to find the information they are looking for. The better the website the longer viewers stay on your website. Time on site has profound positive affect on your rankings. Make sure you have an astatically pleasing website that is easy to navigate. Having 100’s of specials on a homepage is usually counterproductive. For more questions contact Noxster a Proven SEO Company.